"Wireless Imagination is a beautifully produced collection of essays on the interplay between art, noise, experimental music, and technology. . . . An enlightening exploration of a little- known area of art history." -- Gareth Branwyn, Wired "Think of this book as a radio station with some really good shows. Think of yourself as a radio." -- Joshua Clover, San Francisco Review of Books Wireless Imagination addresses perhaps the most conspicuous silence in contemporary theory and art criticism, the silence that surrounds the polyphonous histories of audio art. Composed of both original essays and several newly translated documents, this book provides a close audition to some of the most telling and soundful moments in the "deaf century," conceived and performed by such artists as Raymond Roussel, Antonin Artaud, Marcel Duchamp, Andre Breton, John Cage, Hugo Ball, Kurt Weill, and William Burroughs. Sound art is one of the most fascinating phenomena in modern art. In recent years, more and more people have developed an interest in it: they apparently sense that this form of art touches on a fundamental experience. After all, at the very beginning, all of us got to know the world we live in as an acoustic space, before the sense of sight, which develops later, put us at a distance from the world. This book provides insight into the work of important protagonists of sound art and some of its outstanding representatives from the younger generation: Andres Bosshard (Switzerland; 1955) Paul DeMarinis (U.S.; 1948), Rolf Julius (Germany; 1939), Christina Kubisch (Germany; 1948), Bernhard Leitner (Austria; 1938), Andreas Oldorp (Germany; 1959), Ed Osborn (U.S.; 1964), Martin Riches (U.K.; 1942), Steve Roden (U.S.; 1964), Erwin Stache (Germany; 1960) and Miki Yui (Japan; 1971). PreSchool-K-- A playful bedtime romp through the animal kingdom. Inspired by a story about Noah's Ark, twins Minnie and Max perform their prebed activities Two by Two . So, two crocodiles splashingly brush their teeth, two kangaroos jump enthusiastically on the bed, and two cubs hide from Daddy in their blanket cave. When Max begins to : cry, fearing a lion under his bed, brave Minnie discovers it's the family cat. Only then can the twins snuggle together, like two little mice, and fall asleep. That their antics are purely imaginative is revealed through colorful illustrations and creative page design. Bright watercolor paintings reveal a cozy home and a happy family. While the brief text and formulaic plot make this an excellent choice for toddlers, the large type is appropriate for beginning readers. --Jeanne Marie Clancy, Upper Merion Township Library, King of Prussia, PA Copyright 1992 Reed Business Information, Inc. --Ce texte fait référence à une édition épuisée ou non disponible de ce titre. Sounding New Media examines the long-neglected role of sound and audio in the development of new media theory and practice, including new technologies and performance art events, with particular emphasis on sound, embodiment, art, and technological interactions. Frances Dyson takes an historical approach, focusing on technologies that became available in the mid-twentieth century-electronics, imaging, and digital and computer processing-and analyzing the work of such artists as John Cage, Edgard Varèse, Antonin Artaud, and Char Davies. She utilizes sound's intangibility to study ideas about embodiment (or its lack) in art and technology as well as fears about technology and the so-called "post-human." Dyson argues that the concept of "immersion" has become a path leading away from aesthetic questions about meaning and toward questions about embodiment and the physical. The result is an insightful journey through the new technologies derived from electronics, imaging, and digital and computer processing, toward the creation of an aesthetic and philosophical framework for considering the least material element of an artwork, sound. Aujourd’hui, le son est un acteur essentiel de la création artistique et cet ouvrage — initialement paru en 2007, épuisé depuis, et ici réédité revu et augmenté — l’analyse de manière fragmentaire mais précise, et dans une perspective trans-historique, à travers trois domaines : la radiophonie, les arts plastiques et le cinéma. De la Vienne impériale de Mahler et Strauss au Paris des Années folles et du groupe des Six, de l’Allemagne d'Hitler à l’Union soviétique de Staline, Chostakovitch et Prokofiev, des avant-gardes les plus radicales de l’après-guerre à l’Amérique des sixties et des seventies, Alex Ross retrace avec brio la grande aventure de la musique moderne. Au fil des guerres chaudes et froides, des révolutions et des conservatismes, de l’élitisme de la Seconde Ecole de Vienne à l’avènement de la culture de masse, c’est véritablement l’histoire du XXe siècle par sa musique qu’il nous donne à entendre. Son credo : parler de la musique classique comme si elle était universellement populaire, et de la musique populaire comme si elle accédait enfin à l’intemporalité de ce qui est classique. In early June 2006, a group of over one hundred artists and researchers met for a three-day conference in the Architecture Building at Ryerson University in Toronto, Canada, to discuss from as many different viewpoints as possible the varying relationships between sound and space. This conference was part of soundaXis, a city-wide festival involving most of Toronto s new music community and organised by the Toronto Coalition of New Music Presenters. Out of the lively discussions at this conference, two primary themes emerged: the fraught condition of the relationship between sound as space, and the problematic role of representation and its twin, translation, in any discussion of this relationship. This book presents thirteen essays taken from the conference which address one, or both, of these primary themes. In addition, seven graphic essays have been included which present projects in which architects explicitly take on sound as a generating material in their designs. The resulting chapters in the book provide a diverse and, hopefully, provocative collection of ideas and images. They are meant not so much as a comprehensive study of the sound|space nexus such a study may not actually be possible but as a place to begin the discussion. Review Seth Kim-Cohen has drawn a line in the sand of the Chladni plate of sound art. As a listener, he is impatient with the simple ding in the thing-in-itself: it sounds too much like the metaphysical front end of a church bell. To improve listening Kim-Cohen pits Duchamp's non-retinal art against Cage's sound-in-itself and argues for an non-cochlear art where sounds are allowed to keep resonating past the inner ear all the way to the brain and back. He speaks eloquently for all who like to think and listen at the same time and for all interested in a new round of debates, now that art is more than the visual arts. As the status of sound in art and music evolves and redefines itself, so too does sound art find new ways of describing its history. 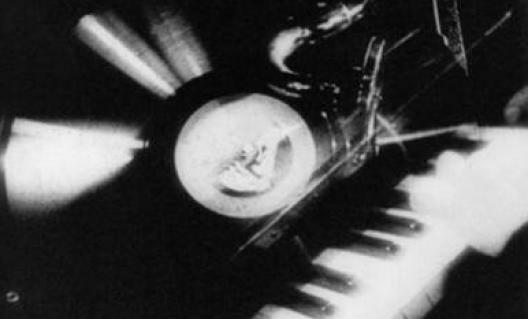 See This Sound compiles a huge number of artists, filmmakers, composers and performers, reaching back into the early twentieth century and into the present to survey overlaps between not only sound and art, sound and film, and the metaphor of cinema as rhythm or symphony. Proceeding chronologically, the book takes the early cinematic "eye music" of Hans Richter as a starting point, noting parallel works by Walter Ruttmann and Oskar Fischinger; moving into the postwar period, the art/cinema/ music experiments of Peter Kubelka, Valie Export and Michael Snow are discussed, establishing precedents to similar work by Rodney Graham, Carsten Nicolai, Jeremy Deller and many others. In its scope and intelligence, See This Sound is a unique survey of this realm. This important work fills a major lacuna in the literature by bringing together, for the first time, all the texts relating to architecture by the multi-faceted Xenakis, who worked with Le Corbusier for 12 years. Sharon Kanach assisted the composer in gathering the texts for this, his last ambitious project. Her commentary throughout the book seeks to bridge the reciprocal influences between music and architecture in the Xenakis oeuvre. The volume is organized into four main subject headings: The Le Corbusier Years, Xenakis as Independent Architect, Writings on Architecture, and The Polytopes. Three major appendices comprise: An up-to-date and annotated bibliography of writings by and on Xenakis by Makis Solomos; a critical index of Xenakis's architecture by Sven Sterken; and a comparative chronology of Xenakis's life and work by Sharon Kanach. Pamphlet Architecture, begun in 1978 by William Stout and Steven Holl, has become a popular venue for publishing the works and thoughts of a younger generation of architects. Small in scale, low in price, but large in impact, these books present and disseminate new and innovative theories. "Essays on the Intersection of Music and Architecture" is a collection of nine texts written by international scholars. Most of the essays were originally presented at the interdisciplinary conference Architecture | Music | Acoustics that took place in Toronto, Canada, in June 2006 at Ryerson University. The texts range from historiographical and theoretical explorations of the relations between music and architecture via translations of architectural spaces into music to analytical case studies of architectural spaces for musical performance. The book includes illustrations, author biographies, and an index. Now available in flexi-cover, this fascinating work examines the relationship between music and painting in Paul Klee's art. A talented violinist as well as a painter, Klee drew much of the inspiration for his abstract art from musical rhythms and structures. Like a composer, he developed and harmonized pictorial themes, weaving a complex series of signs and symbols into his painting. The book focuses on Klee's decadelong tenure at the Bauhaus, where the artist's theories and practices first merged. Illustrated throughout with full-color reproductions of Klee's paintings and etchings, as well as entries from his diaries, this unique study sheds light on an important aspect of Klee's work while providing insights into his development as an abstract artist. A sequel to Phaidon's That Divine Order, (2005), which surveyed the relationship between music and the visual arts from ancient times until the mid-eighteenth century, The Music of Painting continues this fascinating study in the period covering the emergence and development of Modernism, c.1850-1950. Composers and artists repeatedly borrowed from one another, yet their motives have seldom been explored. Professor Peter Vergo provides a broad analysis of changes in the character of the analogies drawn at different times, using in his analysis critical and philosophical sources as well as evidence about artistic and musical practice. Music has inspired some of the most progressive art of our time from the abstract painting of Wassily Kandinsky to the mid-century experimental films of Oskar Pischinger. The most complete examination of this phenomenon to date, The Music of Painting features major works of art plus related documentation, focusing on abstract and mixed-media art forms and their connections to musical forms as varied as classical and jazz. The "sonic turn" in recent art reflects a wider cultural awareness that sight no longer dominates our perception or understanding of contemporary reality. The background buzz of myriad mechanically reproduced sounds increasingly mediates our lives. Tuning into this incessant auditory stimulus, some of our most influential artists have investigated the corporeal, cultural, and political resonance of sound. In tandem with recent experimental music and technology, art has opened up to hitherto excluded dimensions of noise, silence, and the act of listening. Artists working with sound have engaged in new forms of aesthetic encounter with the city and nature, the everyday and cultural otherness, technological effects and psychological states. New perspectives on sound have generated a wave of scholarship in musicology, cultural studies, and the social sciences. But the equally important rise of sound in the arts since 1960 has so far been sparsely documented. This volume is the first sourcebook to provide, through original critical writings and artists' statements, a genealogy of sonic pathways into the arts, philosophical reflections on the meanings of noise and silence, dialogues between art and music, investigations of the role of listening and acoustic space, and a comprehensive survey of sound works by international artists from the avant-garde era to the present. From Publishers Weekly "Sound saturates the arts of this century," writes Kahn, a professor of media arts at the University of Technology in Australia, in an illuminating but densely theoretical study of sound in 20th-century literature and art. Kahn begins by considering the early experiments at the Cabaret Voltaire of dadaist poets Richard Huelsenbaeck, Marcel Janco and Tristan Tzara, whose poetic and "musical" performances were intended to achieve a Rimbaudian "alchemy of the word." He then analyzes how noiseAin the form of screams and bomb blastsAfunction in such prose texts as Remarque's All Quiet on the Western Front. But the artistic hero of the book is John Cage, whose monumental works with water provide the theme for the central portion of the book. Kahn devotes considerable energy to arguing that Cage's Water Music of 1952 was at least as revolutionary as his silent pieces. "Pollock's dripped and poured paintings and Cage's water sounds," he writes, "heralded a larger concurrence of fluidity, water, sound and performance" in the arts for years to come. This leads to a discussion of postmodern American composers, including LeMonte Young and Tony Conrad, who chose extreme amplifications of noise to bring the auditors back to "silence" once their ears stopped ringing. As for the "meat" part of the title, it comes from another source of theoretical inspiration to Kahn, William Burroughs's idea of "schlupping," defined as the sound of "soft innards being sucked out of a body," which is how the reader may feel attempting to get through this incisive but difficult book. (Oct.) Copyright 1999 Reed Business Information, Inc. --Ce texte fait référence à une édition épuisée ou non disponible de ce titre. From Library Journal The role of sound in the spectrum of artistic disciplines is one of unique and boundless dimensions. In his new book, Kahn (media arts, Univ. of Technology, Sydney, Australia) examines the history, philosophies, politics, patterns, technology, sociology, and impact of sound in art. Emphasizing that "none of the arts is entirely mute," he surveys the potential equality of aural and visual in the artistic hierarchy, the influence of aurality on various forms of art and cultural thought (and vice versa), the fluid boundaries between the concepts of noise and music, and Western vs. Eastern definitions of the voice. He covers everything from the poetry of Kerouac, the films of Bunuel, the compositions of John Cage, and the paintings of Jackson Pollock to dripping water and body sounds. Kahn's research is impressive, and his presentation is thorough and precise. Although certainly not for the casual reader, this volume will be an asset to scholarly and academic collections.ACarol J. Binkowski, Bloomfield, NJ Copyright 1999 Reed Business Information, Inc. --Ce texte fait référence à une édition épuisée ou non disponible de ce titre.